Vincent Messelier is born in Kortrijk. Belgium on 06/10/67. He started his first painting in May 2006. He is a completely self-taught artist who is very passionate about his art. Vincent paints from his heart and soul with some jazzy music on the background. Depending on the moment or his mood, some other music can inspire his work. In November 2011 he became a member of ‘Dubai art center International’ where he exhibited his works and also kept his own art studio. In April that year he exhibited in New York City , Barcelona and Bari. Later followed Den Haag Amsterdam, Brussels, Rome, Palermo, Spoleto, Stuttgart, Paris, Copenhagen, Sao Paulo, Rio de Janeiro, Miami, and he is invited for many more like London, Toronto, Casablanca, Monaco, Lisbon, Istanbul, Las Vegas, Los Angeles, Berlin, Beijing, Venice, Milan… and is also mentioned in several art books for museums and art collectors. He also won several (more than 60) international art awards in America, Italy, France and Denmark. He has developed his own kind of style called "meridianism". He works with pallet knives and you can always recognize vertical and horizontal stripes and lines that are corrections of the chaos he sometimes put on the canvas. Acryl is his medium and sometimes he combines with pieces of wood, foam or other materials. He also started a second line for hospitality and business. A concept where he takes pictures of his own works where he combines pictures (that he took himself) of several themes, like horses, historical buildings, birds, cars, sports, eagles... These works are mostly projected on an original painting or at least details. Messelier is working also together with other artists and photographers because he is aware that cooperation with other equally passionate colleagues builds an incredible synergy and is magnificent. He works also on customer demand. He won several international awards and appeared in several art books worldwide that recognizes him in the art world as contemporary master. He is also very concerned about world ecology and there for he started up heating art. 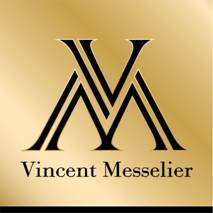 Vincent Messelier is a very professional artist who likes to work for his clients on customer demand, giving advice and communicate with the executive procurators, designers and owners. Art is his second skin and his passion reaches the highest level. He received titles as contemporary master, chevalier-académicien and officer-ambassador for Belgium from de Mondial Art Academia in France. I have subscribed for 2 artworks, The first artwork I choose is ‘Supported from all over the world’, it has been projected On a 60 level high building in New York on time square with 110 other international artists won a contest. The second artwork is ‘Grand Moskee Zahyed’. 14 artists were invited by H.E Sheikh Mohammed Bin Faisal Al Qassimi An artwork I exposed in Sarjah, digital print on Plexi, in ‘The Ajman Palace’. In 2011, I was in Dubai for the first time and I still love and like it. I have had a project for a Five star Hotel (Auris Plaza) where I sold 17 artworks. For me, this award would be a great honor and pleasure for my future career. What are you looking forward to the most at the Global Art Awards Ceremony? I won already several awards worldwide and I do not know what exactly to expect.I hope I can join the ceremony and be present, I really feel appreciated and honored. I would certainly be very honored and I’m sure it could or would be a big step in my career, although I’ve always known that quality is the result of hard work and nothing goes by itself. I’m a hard passionate worker and believe in what I’m doing and this award would certainly be a huge support to go further in what I’m doing. Passionate, hard worker and loving what I’m doing, hoping that I can mean something to my clients and go the extra mile to convince and satisfy. My artwork (painting) is known as ‘Meridianism’, I work with pallet knives and you will always find Horizontal and Vertical stripes and lines, referring to the Meridians of the Globe. Passion and daily luck, enjoying life, seeing simple things… and making an artwork of it. ‘A relation between the creator and the admiror is the most complex and unexplanable that ever had existed. Without words, there is an incredible magnificent communication that reflects the inner passion between them. This is art, touching people in their heart without wanting to hurt, doing big efforts to make people happy with the beauty of the passion and the power of imaginatioin. Everything I see, experience daily motivates me to work on. I try to transfer negative news into positive. There is to much negative news and this is why I made also my own ‘feel good Gazette’ to search for positive things, charity, but with concrete results. Please feel free to see my first edition. I don’t understand what you mean with block… I don’t know the feeling. I hope working further on this tempo to get my reputation even stronger and better and living my passion like I do know. I want to work at least till I’m 90 years old so I have some time to realize. I’m working on a lot of things, exhibitions, started a clothing line (https://artofwhere.com/artists/vincentmesselier) See my Gazette, and working on future projects in Dubai and Abu Dhabi for total art hotel projects. Feel free to have a look at my videos of my latest art. I hope to live long enough to see my 9-year-old son grow up and maybe have grandchildren, continuing my passion like at the moment and working on my name and brand. it is never best commissioned but I’m happy, my most favorite artwork and not sold but famous is ‘Nelson Mandela’ Exhibited in Gaudi Museum, Vatican museum and Louvre. Which are your favorite artists? See before, Dali. New York on Time Square digital on Highest Building with ‘Supported from all over the world’ see Gazette. I’m very proud to say in my 6 years old career as professional, I have exposed more than 100 times all over and won more than 60 awards and was mentioned in more than 40 art museum books and magazines. Just look at my website in the several portfolio’s to find out please. I love my ‘passion’ and looking further for branding my name in the artistic world like I’m doing already.